Located within the Dallas-Fort Worth-Arlington Metropolitan Statistical Area, the city of Arlington is home to more than 380,000 people. It is the third most populous city in the Metroplex after Dallas and Fort Worth, and the 50th most populous in the United States. Settlement in the area where present-day Arlington stands began in the 1840s. Following a skirmish between a group of Native American people and the Texan general Edward H. Tarrant and his men, a trading outpost was established there. The fertile land attracted farmers and agricultural entrepreneurs in the years that followed. Only a little over 7,600 people lived in the city in 1950, but the next six decades saw one of the most spectacular population booms in American history. By 1960, more than 44,700 people called the city their home. 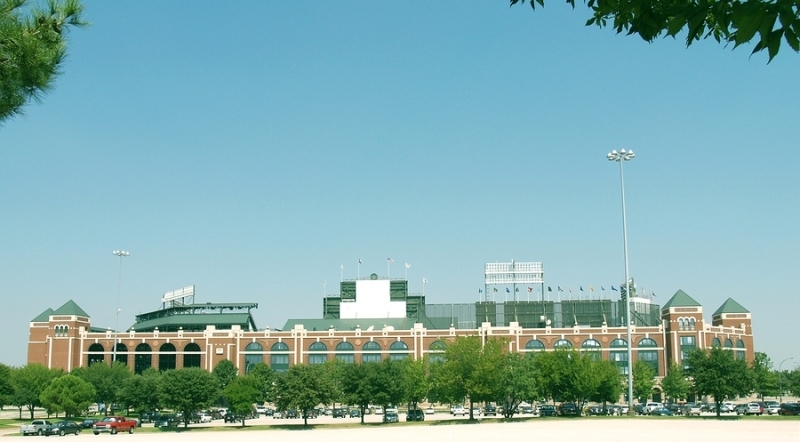 Arlington today is a known sporting, educational, and recreation center in Texas. Keeping your area rug clean and protected from dust, pet stains, damage, and gradual discoloration is easy when you are backed by one of the most trusted names in rug cleaning services in the state of Texas. Dalworth Rug Cleaning has been in business for nearly forty years. We know for a fact that our customers lead such busy lives that they often seek help from professional service providers to do the job of cleaning their rugs for them. Doing so is likely a wise decision, considering the fact that each area rug is different from the others and requires treatments that are appropriate for its material and the manufacturing techniques used on it. Furthermore, cleaning and protecting area rugs sometimes require more than just simple vacuuming and shampooing. Moth and fiber protection, pet odor removal, reweaving holes and damaged areas, repairing fringes, and correcting color runs are just some of the procedures that can be provided by a professional facility. Our friendly and experienced staff have years of experience assisting customers in Arlington, Texas, for all their rug cleaning and maintenance needs. Whether you have an Oriental, Navajo, silk, cowhide, sisal, leather shag, or wool rug, our crew will know how to handle your favorite household accent piece professionally. Please call us today at 817-318-6121 or write to us through our contact page for more details. All customers within the Dallas Fort-Worth Metroplex are entitled to free pickup and delivery services. Very pleased with the cleaning and re-installation. Great job. Will definitely use again and recommend. 12x9 wool carpet wet from flooding. Need to schedule a pick up for a rug cleaning. I am interested in knowing a price range to clean our rug. It is a circular rug and I believe that it is wool. I don't have the exact measurements with me but I believe it is about 8' or 9'. Thanks! Am needing my rug cleaned due to pet stains. We have an 8x10 wool rug which needs to be cleaned. I have 2 area rugs that need cleaning. I would like an estimate please. One rug is a shag white rug 8'10 and the other is also white 8'10 just regular carpet. They both have gray design on them.